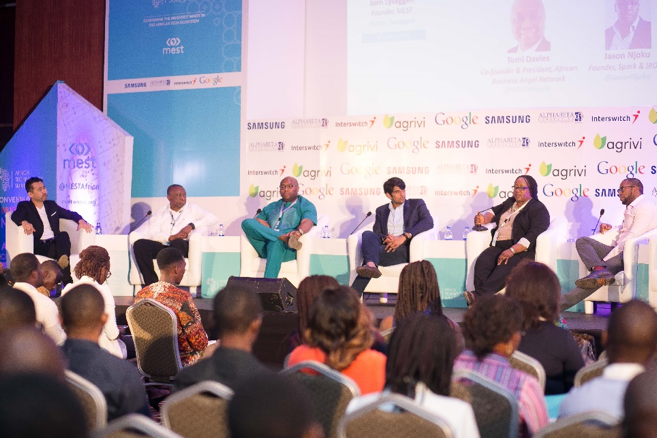 On December 6 and 7, GSMA’s Ecosystem Accelerator team was invited to speak at the Africa Technology Summit – hosted by MEST in Lagos, Nigeria. The two-day summit convened to discuss ways technology can be used to achieve Africa’s goals. In line with GSMA Ecosystem Accelerator tradition, we wanted to share our three takeaways from the summit. A key theme reflected in the ‘Investing in Afritech’ panel was the importance of alignment between investors and investees. Tomi Davies, Co-founder and President of African Business Angel Network voiced: ‘Investments are about relationships. Have a long term mentality. It is important to know who you are taking money from’. Similarly, the ‘Corporate Venture Capitalism’ (CVC) panel, which we were invited to participate in, touched on corporates and start-ups alignment. Lexi Novitske, Principal Investment Officer at Singularity Investments, noted that some of the challenges faced in corporate and start-up partnerships are a result of misalignment. The importance of alignment cannot be overstated since investors play a key role in shaping the future of a company. Investors will be involved in the trajectory and pace at which the company grows. Hence, founders should look beyond a ‘good deal’ to seek investors that align with their values, outlook and expectations. Despite challenges, CVC deals are on the rise in the continent. Illustrating this point with the specific case of mobile operators we shared some recent examples of CVC investments into African start-ups led by the likes of Safaricom, Orange or MTN but emphasized one more time the need for start-ups to speak the prospective corporate’s (and in this case mobile operator’s) language. The general consensus on this CVC panel was the need for collaboration between key stakeholders within the tech ecosystem. Start-ups were urged to develop themselves with acceleration and incubation programmes as they would be better equipped for corporate partnership. This conclusion mirrors our recent findings on tech hubs in Africa and Asia. Continuing this praise for a broader ecosystem play, Ndidi Nnoli-Edozien, founder of the Growing Businesses Foundation called corporates to strike a balance between strategic decisions and financial returns and urged corporates to consider working with other investors (i.e. angel investors) when making investment decisions. Collaboration was again at the heart of the discussion during a later ‘Silicon Valley Fireside Chat’ where it was noted that the altruistic behaviour of most of the Valley’s leaders was probably a reason behind its long-lasting success, If collaboration is needed for start-ups to succeed in an homogeneous and concentrated market like California, one can imagine how critical it becomes when we talk about 54 African nations very different from one another in many respects. While mobile technology has been referred to as a disruptor of industries, our observation from the conference was that many start-ups are using mobile technology to create solutions where industries are inefficient but sometimes even non-existent. Hence there is an opportunity for mobile technology to not only disrupt, but often build, industries. We were also able to verify this through a reality-check as we took advantage of being in Lagos to visit the start-ups accelerator iDEA hub and also meet with the teams behind Stutern (a mobile platform for internships), and Flutterwave (payment gateway API). We can’t conclude this blog without noting the contagious overall optimism that was shared at the summit about the future of Africa. MEST founder Jorn Lyseggen went as far as forecasting that by 2026, an African start-up will have listed on the NASDAQ with a billion-dollar valuation! We would like to thank Katie Sarro, Jorn Lyseggen, Neku Atawodi, Kelechi Udoagwu and the rest of the MEST team for putting together this great event and for inviting us to participate.